← Sunday Coffee – See Y’all on the Other Side! 1. All Joy and No Fun by Jennifer Senior – Very first book of the year, and it remains one of my favorites this year. 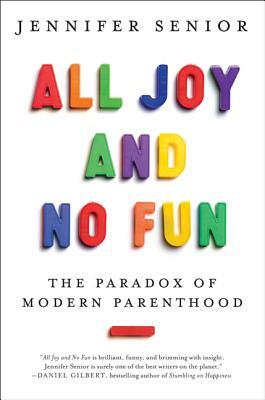 Nonfiction about the effects of parenting in the modern age on parents. 2. Firstborn by Lorie Ann Grover – Very unusual YA gender-bending fantasy! I absolutely loved every minute of this one. 3. Jonathan Strange and Mr. Norrell by Susanna Clarke – Almost five years after my first attempt to read this book, I enjoyed every minute of this audiobook. I hope to own it – and the print version – someday, and I plan to enjoy the story many times! Also, I’m loving the TV series so far. 4. 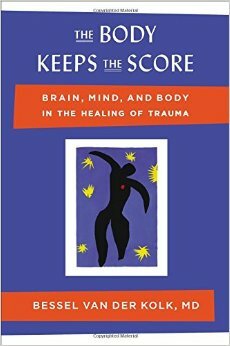 The Body Keeps the Score by Bessel van der Kolk – I read this not long after I was diagnosed with complex PTSD, because of the diagnosis, and I learned so much from it, both about the illness and about myself. 5. Magonia by Maria Dahvana Headley – Totally blown away by the careful characterization, world-building, friendships, and plotting of this YA contemporary fantasy. I haven’t read any of these, but they look good. I’ve owned “Jonathan Strange and Mr. Norrell” for years and years and have never gotten around to reading it. I bought it on a whim from the bargain shelf at Barnes and Noble, and since then it has just sat on a shelf looking spooky and gothic. I’m hoping to finally get to it this year. i’m glad you enjoyed it so much! The audio is amazing if you can get your hands on it! Ditto what Lindsay said about Jonathan Strange. It’s just SO BIG. I’ve been considering just getting the ebook…I hate doing that, though when I already have a copy. Glad to hear you enjoyed it! Was hoping maybe my library or Scribd had a copy of the audio, but it doesn’t. Also really want to read All Fun No Joy! I am so glad you liked Jonathan Strange and Mr. Norrell. Even after having read it years ago, I still think back fondly on the book. Someday I hope to reread it. I’ve been hearing so much about Magonia lately. I guess it’s time it goes on my wish list. Jonathan Strange & Mr. Norrell was fantastic. 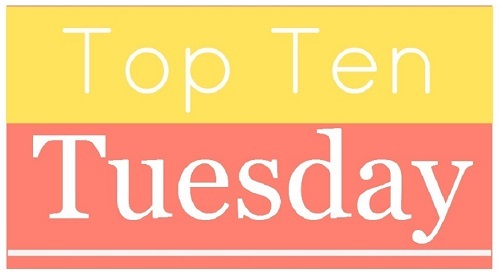 I only just finished it, otherwise it definitely would have made my Top Ten list. Such a unique and memorable book. Both YA fantasies sound interesting too. Must take note of them! Are you watching the show, too? It’s so good so far! I have got to read Strange and Norrell…but it’s sooooo long, and I have like five minutes a week to read. I don’t even know who recommended it to me, but MAN that book made an impact! I think I own Jonathan Strange and Mr. Norell too . . . sad that I don’t know for sure! In any event, the length is intimidating to me. I don’t necessarily stay away from books that big, but it has to be something I truly want to read. Also thanks for fishing my previous comments out of your spam! The audio made it go by really fast. It’s very worth it.